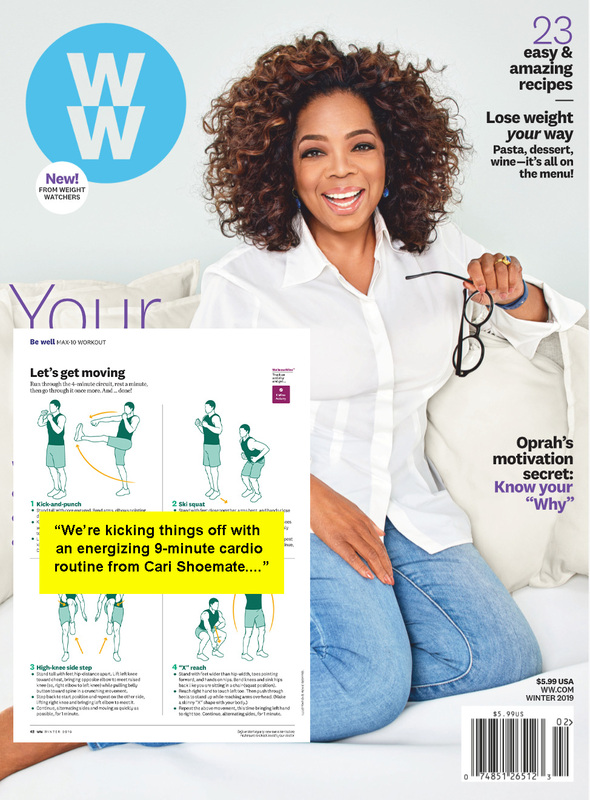 Weight Watchers Magazine has a new monthly workout called “Max-10 Workouts” that are designed to help you get in your daily workouts and eliminate those “I don’t have time” excuses! They asked me if I could come up with 4 quick cardio exercises that can be done in under 10 minutes to be featured in their Winter 2019 issue (on newsstands now!). 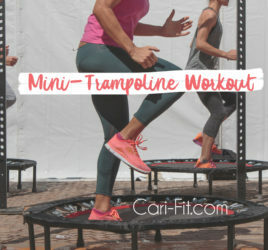 I came up with these 4 cardio focused exercises that can be done by anyone – even those with a lot of weight to lose or those with joint pain. Fitting in just 10 minutes a day will strengthen your body and can help you lose weight! Give this a try and let me know what you think! Thanks to Alyssa Shaffer for including me!